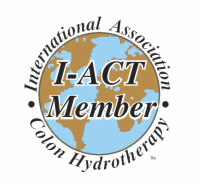 With over 30 years of working with people in varying modalities, and over 15 years as a colon hydrotherapist, Jacalyn brings a deep level of care, presence, and experience to the "art" of colon hydrotherapy -- also known as a colonic or colon irrigation. It is her goal to create an environment of comfort, relaxation, and ease as she works with you to improve your digestive health. Jacalyn teaches Digestive Anatomy, Pathology, and Health at a state accredited massage school, and Digestive Health periodically at the Oaks of Ojai. She is a Certified Massage Therapist, Certified Movement Expression Facilitator, and Certified Dance Alive™ Teacher. Nutritional information and appropriate referrals to other skilled professionals are also provided. People from all of Ventura County, Santa Barbara County, Los Angeles County, as well as other states and countries have been coming to see Jacalyn for over 15 years. Only sterile, disposable tubes and nozzles, and filtered water is used, as well as state of the art colon hydrotherapy equipment, which is manufactured through compliance with strict FDA guidelines. Just what is colon therapy? What are the benefits? For more information, click here. What can you expect during a session? To find out, click here. Read Customer Testimonials to hear what others have to say about working with Jacalyn. 20 - 30 minutes. From Santa Barbara, it is a beautiful drive either by the ocean or through the hills, past Lake Casitas, and takes approximately 45 minutes. Come visit Ojai, cleanse your body and head home refreshed and rejuvenated! Or click here to submit by email. Call today to begin your journey toward feeling cleaner, lighter and more energetic!